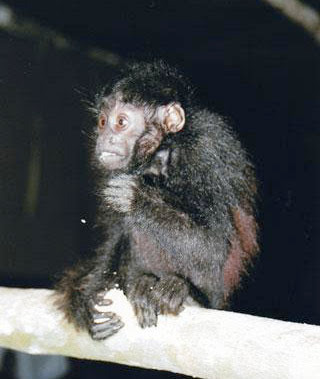 Ananka's Diary: Welcome to the Animal Kingdom! Scientists keep finding new creatures! 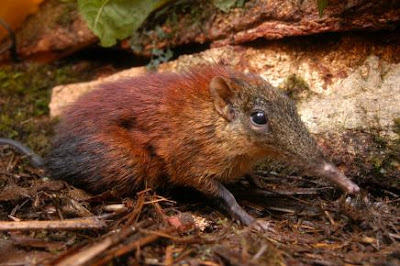 Say hello to the black uakari monkey and the giant elephant shrew, both recently discovered. Somehow, they don't look as though they really wanted to be found. I forgot to say thanks to Mae for introducing me to the giant elephant shrew. How rude of me! Thanks, Mae! The monkey looks like someone jabbed it with a low-voltage cattle prod. Poor guy. yet they still can't photograph a live giant squid. Is This a Face You Can Trust?